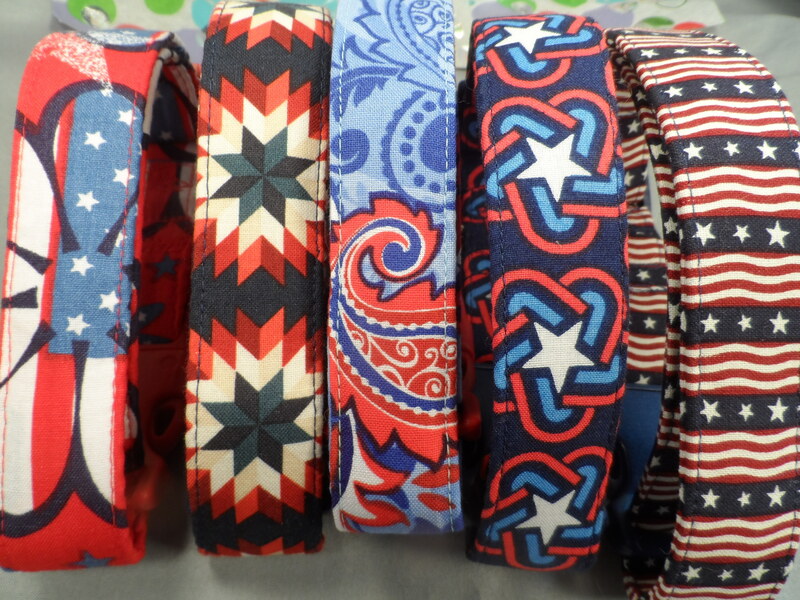 We have a wonderful collection of collars for every season. We spotlight each seasonal them accordingly. Throughout the year you can find, Christmas, Valentine's Day, St. Patrick's Day, and Halloween dog collars. And at special times we add other holidays and seasonal prints as well. Because each collar is handmade, and our fabrics are purchased individually, be sure to order early to allow time for us to make and ship your collar.